So far, in the Meet the Cast series of posts, we’ve met the hero, villian, and the hero’s friend. Today we are going to explore a vital member of the supporting cast. In the society of the immortal Stonebearers there are three towers that govern the three distinct areas of the world. Alystra holds the high seat of the mountain tower. As senior of the three leaders of the towers she also holds power and influence over the other two. It is her duty to command and protect the Stonebearers within her order and through them ensure the safety of the mortal world. Both Jarand and Bremin are members of her order. As leader she must embody the Stonebearer ideals, which include; grace, loyalty, duty, mercy, and humility. She must be resourceful and fair. If a Stonebearer of her order has broken his oaths, she must determine their fate. 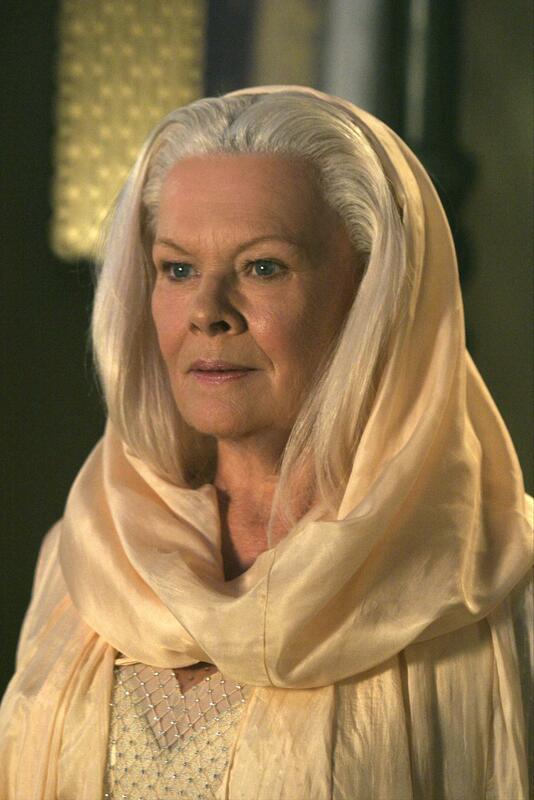 If I were to chose an actress to play Alystra, it would have to be the esteemed Dame Judi Dench. In all of her roles she displays the perfect blend of power, control, and restrained passion. Her characters also display a certain vulnerability and depth that makes them even more appealing.